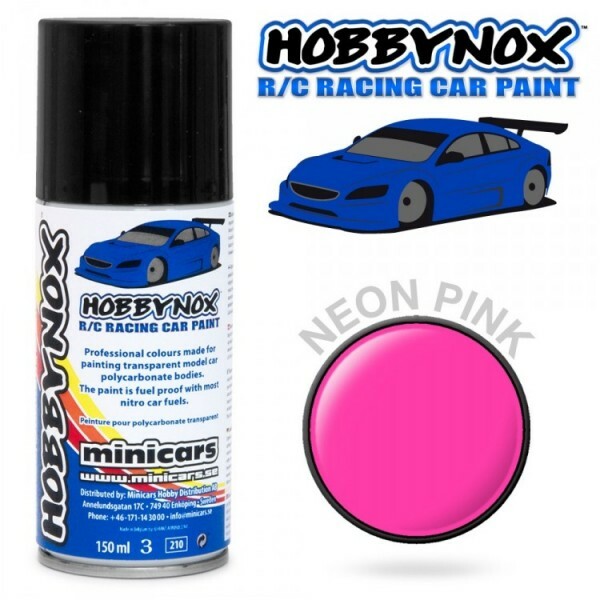 Normally two thin layers of neon pink is needed - make sure that it dries completely before covering it with white. If you forget the white it will not look "neon". If you want to add more colors after the neon (backed with Hobbynox white) - you might want to add a thin layer of silver so the other colors won't bleed through.